He started off editing Swedish SF fanzines and became a serious political activist and writer--an indomitable fighter against racism, sexism, misogyny and the idiocies of the far right and modern day Nazis. As Nick Cohen says, the irony that his longterm partner Eva Gabrielsson should miss out on the Millennium millions 'is almost too sharp to bear.' 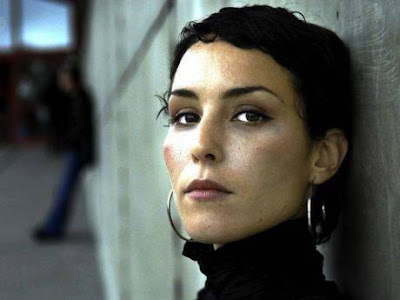 She may well win her case yet and she is in possession of Stieg's laptop with a fourth volume of the series partly written (and his plans for it to be a series of ten.) Probably the world's most valuable laptop. Eva Gabrielsson has dismissed the likelihood of Larsson’s fourth book being published, comparing it to an uncompleted Picasso. It is not unthinkable a sympathetic writer could finish the fourth book. Dickens's mystery 'Edwin Drood' (1870) was unfinished at his death, with the killer not revealed, and it has been completed by scores of writers, the first being issued in 1873 by a Vermont printer who had channeled the latter half of the book directly from the great man--a version that was praised by Conan Doyle (not scarce, decent firsts can be had for about $100). Agatha Christie, John Dickson Carr and Sara Paretsky have been cited as influences by various reviewers. Larsson's journalist hero Mikael Blomkwist is no Poirot however, although the island mystery has echoes of Agatha's most politically incorrect title. Some readers have mentioned Enid Blyton as an influence, certainly she is mentioned in the text but his goth/punk superhero Lisbeth Salander would probably not be invited to join the Secret Seven or even the Famous Five. Larsson is on record as saying she is a kind of grown up incarnation of Astrid Lindgren's Pippi Longstocking - "strong and fearless." The Swedish first of the first Pippi adventure is a £1000+ book in fine condition ( Rabén & Sjögren, Stockholm, 1945.) Note that she is called Pippi Langstrump in Swedish. OUTLOOK? Good, because it is a major work and has achieved cult status. The real question is how many Maclehose printed. I suspect it was several thousand in which case the current price may be toppish. If it was less than a thousand then the price is realistic. It seems unlikely that it would have been a small print run. There had been an intense buzz about the book coming from Swedish mystery fans, the launch of the book in London in January 2008 was attended by every mover and groover in publishing, review copies were sent out etc., Charing Cross's own Maxim Jakubowski was there (complaining about the translation...) By the way his shop 'Murder One', not 50 yards from us, remains empty after nearly two years (a wildly over ambitious rent can be the only explanation). Maxim Jakubowski is right about the translation -- a middling effort- the Spanish is better 'Los hombres que no amaban a las mujeres.' Thanks for info--am saving Euros for Reg's version! For me this is a timely blog as I had been getting very curious as to whether the seemingly obscene prices being asked for on ABE etc. were even vaguely realistic or not. I picked up a copy in WH Smith's a fortnight or so after publication suggesting that it is not exactly a hen's tooth book. Personally, I didn't think that it was much more than a better-than-average page-turner, so was half thinking of selling it, but perhaps I will hold on for posterity. Obscene is definitely the word for it. I know the 1st UK print run was large, and I did sign some copies for booksellers at the Bristol CrimeFest in May, also at Murder by the Book in Houston in late April. Warning to collectors -- all genuine copies are signed in either red or blue Sharpie, a thick indelible pen. Anything else is fake. Thanks for your input Reg. As one who has walked the shores of crime fiction for some 30 years I failed to notice the breaking wave of the Larsson phenomenon - and so did, I would argue, his publishers. This first title was printed in a fairly small number as is common with all hardback fiction - possibly as low as 1000/1500 copies for the first hardback printing. I think it would be extraordinary that anyone in the publisher would have the "nuts" to go for anything more. That first printing disappeared pretty quickly after publication which usually indicates a short print run. Hyper-inflation of such contemporary titles has more or less died out (thank the Lord) and there are fewer punters out there who are prepared to lob vast amounts of money for a book just a couple of years old. So many were burnt on titles which were flagged as "ultra scarce" and then watched as the price bottomed back to barely above cover that it might pay to wait and watch these days..
From the publishers website: "By the time this whirlwind arrived on our shores in January with Quercus publication of the first instalment, France had sold 1,113,039 copies, Norway 746,958 copies, and Germany 400,000, while in Denmark the books were being outsold only by the Bible." You wouldn't have to be too gutsy to print a few thousand given this record would you? Ah, you can't beat a publisher's puff for "economical with the actualité" as the late lamented Alan Clark might put it. All figures banded around for the news-hacks benefit have to be taken with a pinch of salt. They will invariably include Book Club imprints, Airport Export Trade Paperbacks and the like. In my experience - and from the swiftness of the disappearance of the FIRST printing of the publisher's own HARDBACK edition - the print run was pretty small. Debut novel, translated author, hmmmm...it would be a brave, nay foolhardy, publisher to wade in with much above 1500 on the first printing even given the success in Europe (which is not always a sign it will be a success elsewhere). With reprints much more easy to process these days - and quicker - the publisher doesn't need to take a risk. I emailed Christopher MacLehose of MacLehose Press who replied to say that the first UK printing was 10,000 with a simultaneous overseas trade paperback issue of 15,000. As for the Bible outselling Stieg Larsson, that may not translate into such huge sales in a largely non-religious country such as Denmark. I believe most Danes who belong to the state Lutheran Church are given a Bible at confirmation, and who knows how many ever buy another one! Dorthe, is this correct? By the way, what's a true US first of Smilla's Sense of Snow going for these days? My wife (the translator) and I watched it zoom up and then plunge to next to nothing back in the 90s. Reg--firsts of the Peter Hoeg Smilla's Sense can be had fine in fine for $15 but signed you might pay $120... hope your wife kept a few signed to her from the author! As if! The author turned out to be a total jerk who didn't like her translation. So the British publisher allowed him to make 2000 changes to the original US translation and changed the title. When she took her name off the book, they invented a fake pseudonym for her. Glad it's only worth $15. I came upon these books when they were becoming a publishing phenomenon in France a year earlier than they appeared in the UK. They are well translated into French - and the UK publishers should have had good idea of how successful they would be! 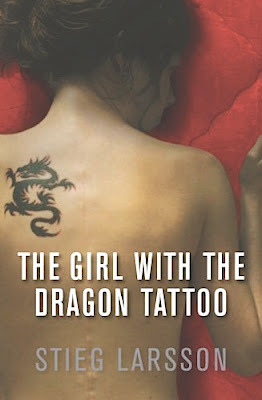 Are there any more fans of Stieg Larsson's 'The Girl With The Dragon Tattoo' here? Just wanted to let you all know that the Swedish movie adaptation of the book is coming to UK cinema's on March 12th 2010. Its an incredible book and the film is said to be a very close adaptation. Want to see the Girl With The Dragon Tattoo first and for free? Head to our Facebook page where we’ll shortly be announcing details of free preview tickets – plus enter our comp for a holiday to Sweden! The hardback edition of The Girl with the Dragon Tattoo failed to cause much of a stir when it was published in January 2008, selling around 8,000 copies. "The paperback that followed in the summer did okay but was nowhere near as popular as elsewhere in Europe,"
A Christmas Carol. Charles Dickens, 1843.